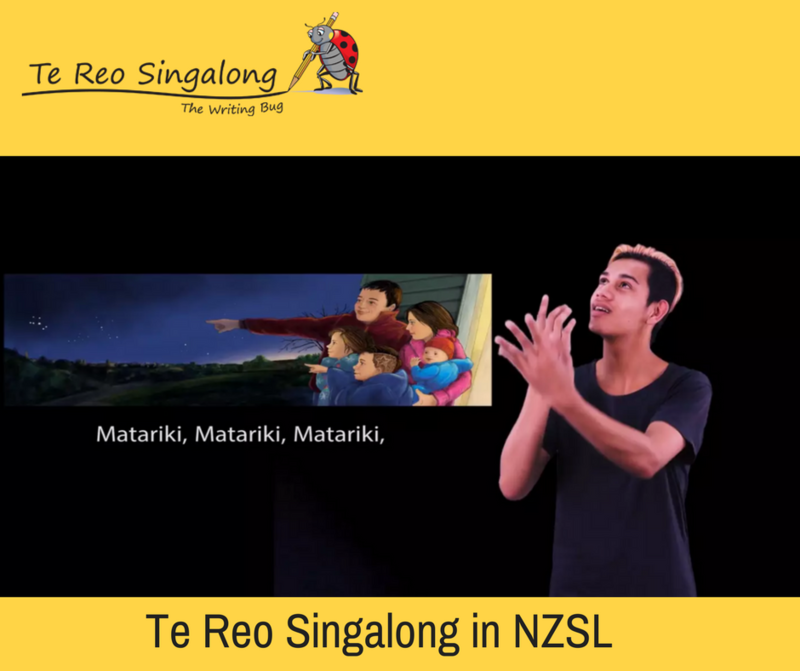 Te Reo Singalong books in NZSL - all 3 official languages together! We are very excited to have four of our Te Reo Singalong books available in NZ Sign Language now! The best part is that we received funding for the project from the NZ Sign Language Board and lots of help from the people at Kelston Deaf Education Centre – which means the videos of those four books in sign language are free to watch and use. It has been a real pleasure working on this project for the past 12 months – and very exciting to be able to launch the videos on the first day of NZ Sign Language Week! The star of the show is Tuhoi Henry, the signer who appears in the videos. 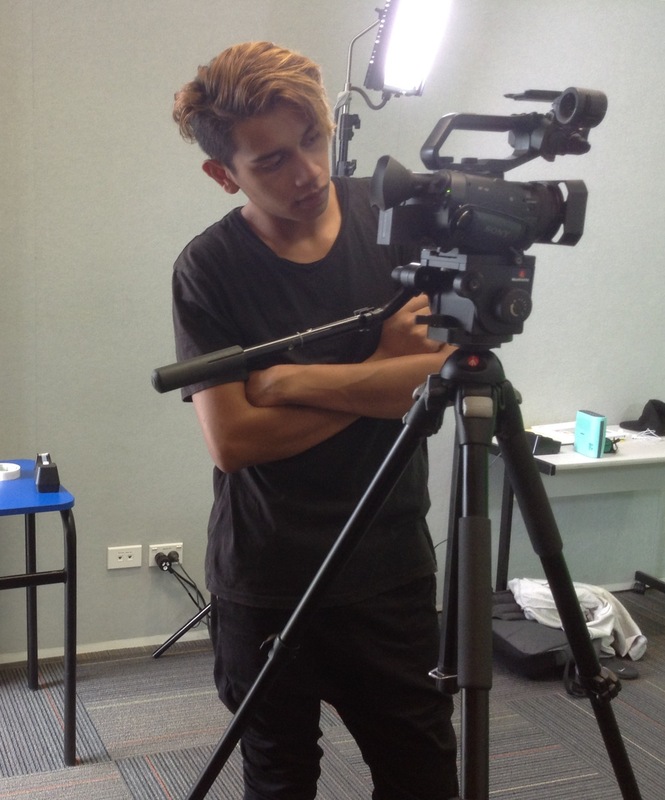 Tuhoi is a student at Kelston Deaf Education Centre (KDEC). When you view the videos, I’m sure you’ll agree that Tuhoi brings the sign language translations for our books to life in an amazing way. His tutor for this project was the awesome Laura Cherrington, who worked with others at KDEC to create signs for our books: Matariki, Kia Ora, Kei te Peke Ahau and He aha tēnei? I had amazing help from Kathryn Metcalfe at KDEC, who was also the instigator of the project. We had often been asked to put our books into NZSL, but Kathryn came up with the idea to apply for funding through the NZ Sign Language Board. If you’ve ever applied for funding, you’ll know it’s quite a mission! However, with Kathryn’s help, we did that and were so happy to receive the funding to make these videos free for people in the Deaf community – as well as anyone else who wants to learn the signs for our these four books. Special thanks to everyone at KDEC who worked so hard on this project. We are really happy that with the outcome. Enjoy!